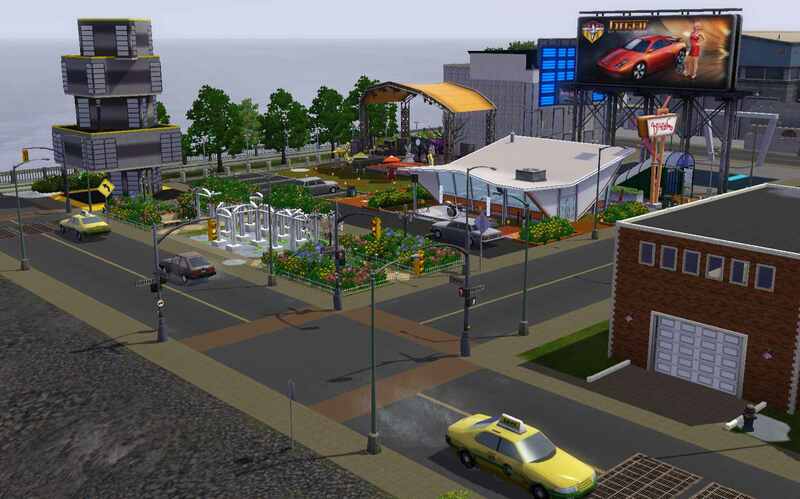 The artificial island project was successful and Simmington gradually turned into an "entertainment" destination for other inhabitants of Simplanet. Many came to enjoy the shows and atmosphere. Some even decided to stay. Simmington was renamed "Simmington Showtime". Simmington Showtime has been updated with Showtime Coffeehouse, Live Show, Private, and Big Show venues. The world ID number has been changed so that players can have both versions of Simmington in their game. Simmington Showtime includes several fog emitter effects on lots - spirit lights, pigeons, and fireflies - so, as with all custom worlds, players will have to open the world, save the world, and then play the saved version to enjoy the effects. 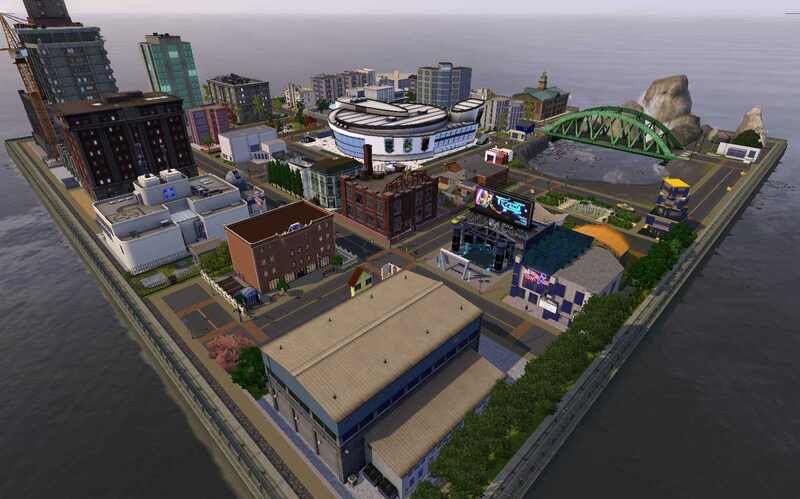 Simmington Showtime is set as a city with Bridgeport water and skies. Simmington Showtime is NOT populated. There is no custom content in Simmington Showtime. World checked with CUSTARD. Simmington Showtime requires the following expansions: World Adventures, Ambitions, Late Night, Generations, Pets, and Showtime. It may work without some expansions but could look different. Showtime is absolutely required for this world. Late Night is required for bars, subways, street lights, and apartments. The Pets City Hall Rabbit hole was used. Seasons is required for those who choose to download the alternate "Festival Grounds at the Cannery" community Festival Grounds lot. Spawn Points: Gem, metal, seed, snake, butterfly, small bird, beetle, lizard, turtle, rodent, and fishing spawners are included in logical places. Wildflower spawners included in the Seasons Festival Lot. The unicorn spawns at Research Center Robo Reservoir. Routing Info: Sims cannot route through fences, flowerbeds/plantings, or near the waterfall. The camera cannot route near the edges of the map by the waterfall. Layering: Simmington Showtime has 4 layers: Lots, Objects, Plants Trees, and Spawners Effects. Textures: Only in-game terrain paints were used so that players can alter lots if they want to. Simmington Showtime is contained in one "chunk". A total of 15 terrain textures were used in Simmington Showtime so there are more than 8 textures per chunk. However, this does not seem to affect world performance. Effects: Meteor showers, waterfalls, flocks of birds, flying geese, and jet trails. Lots: Simmington Showtime has 41 total lots. See Simmington download page for information about lots retained for Simmington Showtime. 1. 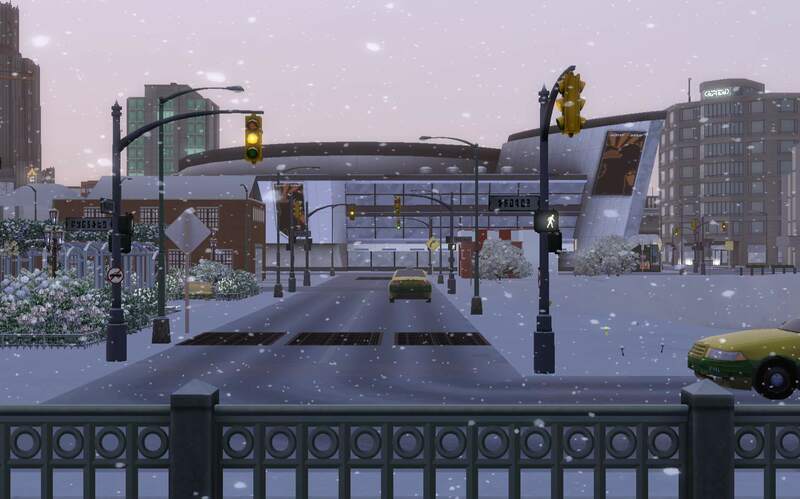 Replaced "Simmington City Center" with Big Show Venue and Stadium. 2. Eliminated "Carmine Exclusive Lounge" and part of School Street to allow for larger school lot. Replaced "Pleasant Education Center" with new school lot. 3. 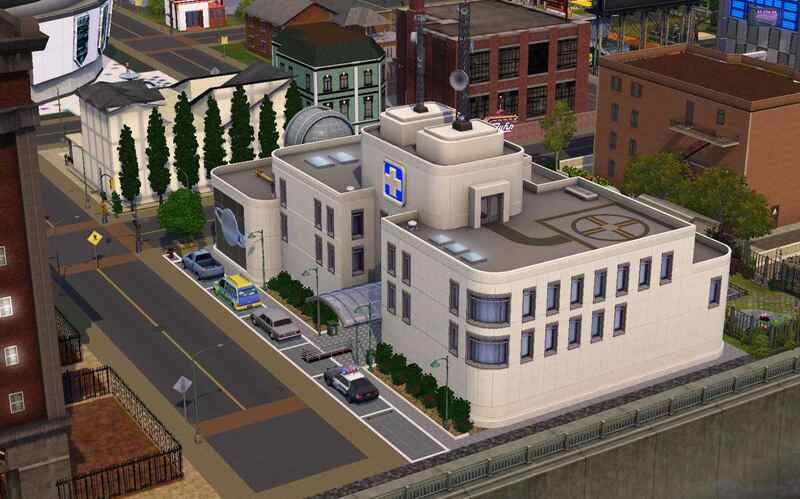 Turned "Luxury Blue and Gold Starter Apartments" around, re-decorated lots, and assigned new street addresses. 4. Replaced "Open Lot" with gym. 6. Replaced "Palms Futuristic Lounge" with Live Show Venue. 8. Eliminated "Madison Park | A Fountain Park" and re-sized hospital lot. Replaced hospital with combination hospital and science center Rabbit hole. 9. Replaced "Simmington Research Center" with City Hall Rabbit hole. 10. Changed "Pet World" (Pet Store) into a dive bar and re-named it. 11. Replaced "Glenview Manor" apartment building with Movie Cineplex Rabbit hole. 12. Replaced "The Glass Pillar" apartment building with bookstore and spa Rabbit hole. Little Corsican Bistro Rabbit hole placed in basement. 13. Replaced "Into the Future" single family dwelling with dive bar. 14. Replaced "Subway Station" with single family dwelling. 16. Added Food Truck to Landgraab Industries Bldg. lot. 17. Added and/or re-arranged subway grates, street lights, and street signs. 18. Moved azaleas near "Fire Pit Park". 19. Made minor changes to "Research Center Robo Reservoir" lot (moved rock and weed). 20. Added sims non-routing paint under fences between Simmington Family Fitness, Garden of Eden, and Curious Tower. 21. Removed duplicate spawners at Cool Breeze and Garden of Eden. 22. Moved garbage cans at Sweet Condo Delux, 10x10 Modern Apartment, and Curious Tower. 23. Moved mailbox and set front door at Sweet Condo Delux. 24. Removed first floor hot beverage machine at Helen's Company of Style. 25. Moved car parking spot at Sim Sonic diner. 26. Rotated bathtub at The Glass Pillar. -	64x64	Landgraab Center (Big Show Venue) at Landgraab Square with Binderclips Big Show Venue and Stadium Rabbit hole as well as two Subway Rabbit holes. Features fountain, Food Truck, seating / eating areas, 2 bus stops, sculpture garden, and plenty of parking! 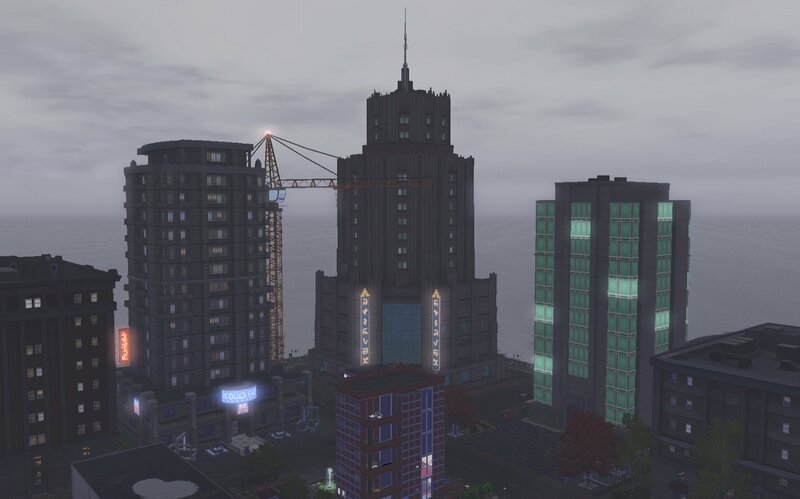 Furnished: 302,030; Unfurnished: 74,183. -	10x10	Zig Zag (Fusion Lounge) at 337 East Hanover St. Five zigzagging stories with base game and Late Night items only. Has bar, dance floor, bathroom, darts, and foosball table. (Spawns bartender.) Furnished: 18,082; Unfurnished: 15,227. -	42x30	Simmington General (No Visitors Allowed) at 317 Goth Ave. with Holy Cow Memorial Hospital and Science Center Rabbit hole. Decorated lot still has Hogan's Deep Fried Diner Rabbit hole in the basement. Furnished: 23,719; Unfurnished: 12,569. 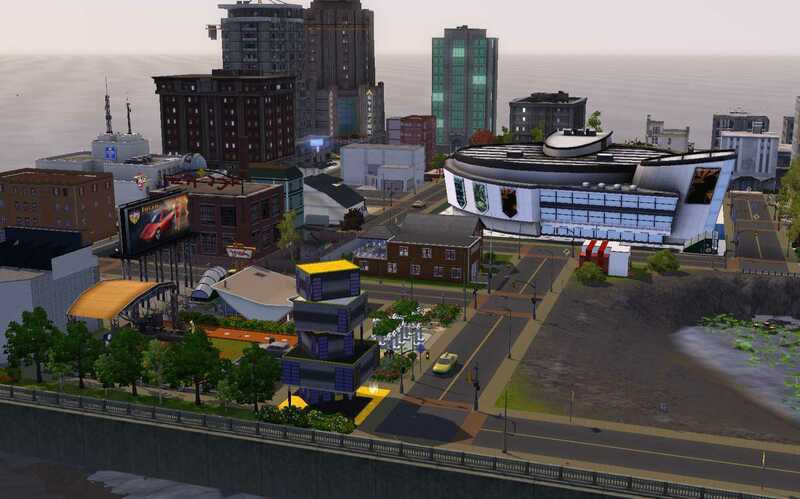 -	40x22	Simmington City Hall (No Visitors Allowed) at 2223 Goth Ave with Pets City Hall Rabbit hole on decorated lot. Includes Very Small Train Set from Supernatural and The Baker's Half Dozen Stand from Ambitions. (Items are not essential for lot.) Furnished: 40,151; Unfurnished: 12,561. -	40x30	Bubbles, Books, & Bistro (No Visitors Allowed) at 159 Curious Way with Wilki's Fabulous Books & Bath Rabbit hole as well as the Little Corsican Bistro Rabbit hole in the basement. The Bistro/basement level has dining area, sculptures, fountains, and chess tables. Base game, Late Night, and Showtime objects only. Furnished: 53,278; Unfurnished: 28,359. 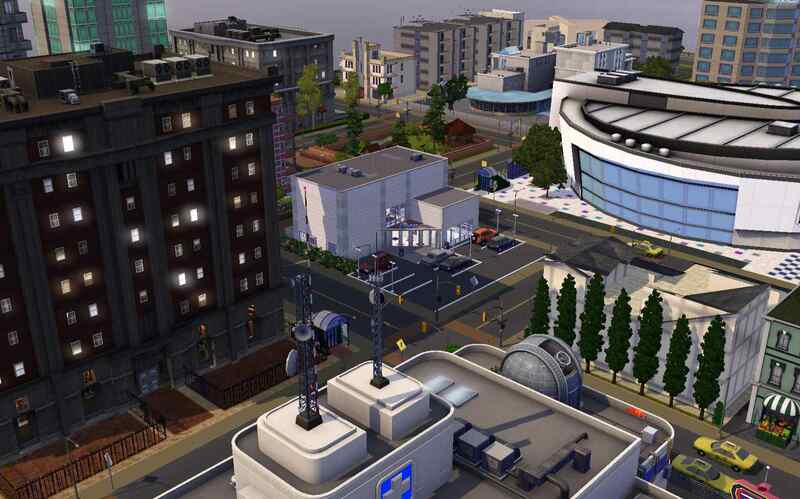 -	40x40	Simmington Movie Cineplex (No Visitors Allowed) at 1029 School St. Decorated lot with Movie Cineplex Rabbit hole. Furnished: 10,880; Unfurnished: 6,820. -	30x40	Festival Grounds at the Cannery (Festival Grounds) with Subway Rabbit hole. Alternate lot to replace Simmington Brew Coffeehouse venue. (See Comment.) Requires Seasons expansion pack. o	Coffeehouse (Simmington Brew) - Fog; Gobo lights - Purple. Very few items except fountains and benches/seating will function on the Big Show lot. This makes it impossible to add bathrooms or additional Rabbit holes in the basement, for example. Many thanks to simsample and other MTS members for the tutorials making a world a city and Sea, Sky, and Light parameters - let's learn! simsample unlocking the Food Truck and Parking Space was very helpful. A big thank you to simsample for the Tutorial: Creating Duplicates of a World which allows players to have both Simmingtons in their game! Most suggestions made by lindali365 were implemented. Thanks so much for play testing for me! I so much appreciate each and every person who has uploaded lots and other items to MTS as well as those who have contributed to the CAW Resources thread! Where would our (custom) worlds be without you? 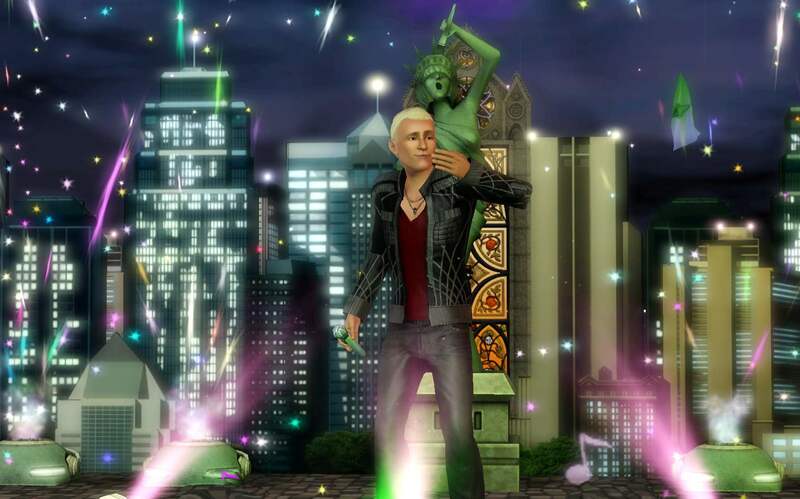 Thank you, also, to the staff and moderators at MTS who manage the best Sims 3 web site I've found! Especially HugeLunatic who cleaned up my creator feedback thread for me so that I didn't have to "re-do" it to submit the upload! 156 people have said thanks to SimmyRN for this download. 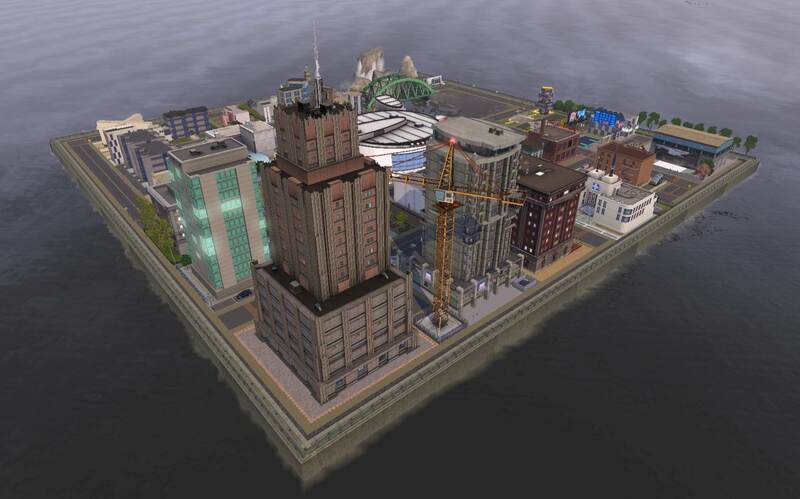 Simmington - A Tiny, Artificial Island City; Simplanet's Last Hope! Bleake Islands - A Bleak Place Indeed!